We found out we were having a healthy baby boy. I let go of my fears and started to enjoy pregnancy. I was rarely sick, felt great, and was so happy and excited. Things were going so well that at some point, I even managed to convince myself I was some sort of mystical pregnancy unicorn. Along the way, we fell in love with our baby boy. We talked to him, read to him, played music for him, bought things for him, and made plans for him. We dreamed about who he might become. 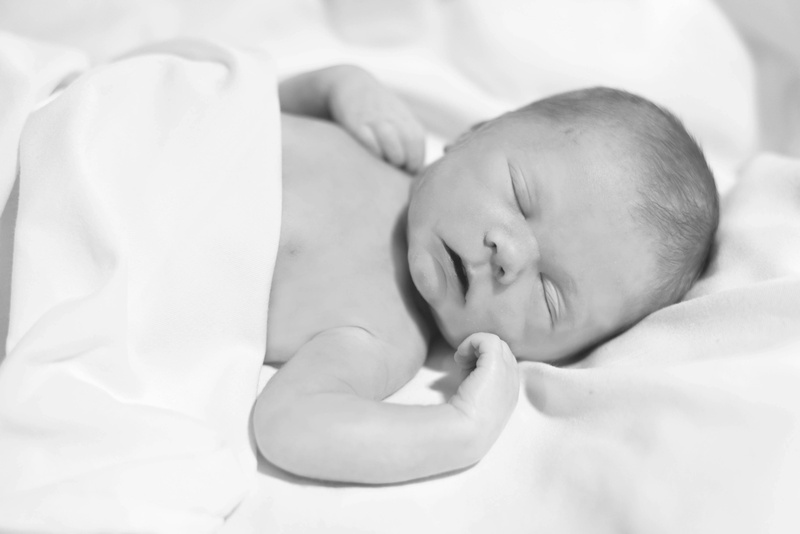 And we chose the perfect name for him – Matthew Christopher. At 28 weeks I breathed a huge sigh of relief. We were way past viability, and I was home free. I mean, I was still terrified of one of us dying during labor, but I still had time to process those fears. I never expected that pretty soon, my whole world would come crashing down in a way that, despite all my research, I did not know was possible. After a dramatic chain of events, Monday, July 13, 2015, became the worst day of my life. I was 32 weeks and 4 days pregnant when we lost our precious Matthew. On Saturday, July 11, we went to bed to Matthew kicking me per usual. That night, we giggled at how active he was. He was always my calm baby boy, whose movements were extra challenging to feel because of an anterior placenta. I told my husband, Mark, how thankful I was that over the past few days Matthew had become more active, which made kick counts easier. In hindsight, maybe his Saturday night activity was his way of saying goodbye to us. On Sunday, July 12, we went about our very busy day, which involved some shopping for Matthew. At around 4:00pm, I realized I hadn’t felt Matthew kick in a few hours. I was not overly concerned, as this was my calm baby boy. I decided, however, it was time to get him moving, so I did all the usual tricks. Over the course of about two hours I drank cold water, hot water, and juice, ate sugary foods, poked and prodded him, and played music for him. Nothing. At about 6:30pm, we decided to head to the hospital. I still wasn’t overly concerned. Quiet spells weren’t abnormal for Matthew. Upon our arrival to the hospital, a nurse took me to a room, where she strapped me to a fetal heart rate monitor. We all breathed a huge sigh of relief – she immediately located Matthew’s heartbeat – a perfect 140, normal for his gestation. The doctors performed an ultrasound, and everything looked fine. Doctors eventually decided, however, to keep us overnight for observation. Matthew still hadn’t moved. And in our time at the hospital, doctors discovered some concerning variable decelerations (v-dips) in Matthew’s heartbeat, but they assured us these v-dips were not unusual. Although the v-dips could indicate mild cord compression or distress, there was no reason to freak out. The next several hours were uneventful, yet excruciating. We didn’t sleep. Despite doctors’ reassurances, the continued lack of movement sent us into panic-mode. The events of the night played out cruelly – it was as if someone was hitting “play”, “rewind”, “play”, with a few “slow-motions” thrown in on what had become our sick horror story. We watched intently as the fetal heart rate strip printed out. We analyzed every pixel on what seemed like miles of paper falling to the floor. We tirelessly googled “decreased fetal movement” and “variable decelerations”. We took snapshots of the printouts to send to contacts in the medical field. We freaked out at each v-dip. We cried, then tried to hide our despair from the professionals, who continued to assure us everything would be okay. I got up and down to go to the bathroom. We tried to get Matthew moving and played more music for him. Nothing. At one point an internet search landed on “fetal stroke”. We asked anyone who’d listen if Matthew could be compromised – brain dead with a heartbeat. “Impossible. His heartbeat wouldn’t be this good,” they’d reassure us. Overnight, it was decided we’d do a biophysical profile at 9:00am that morning and deliver early if indicated. “It’s too early”, I said, choking back tears. “33-weekers do really well these days,” a resident assured me. I hadn’t processed the gravity of the situation – still thinking a healthy 33-weeker was my worst case scenario. At 6:00am that morning, a nurse came in and informed us we could go to the cafeteria to get breakfast. I sat up in bed, and that’s when it happened – Matthew’s heartrate dropped from 140 to undetectable – in one second. The nurse tried to relocate his heartbeat. She couldn’t find it. Alarms sounded. Doctors and nurses flooded the room. Mass chaos ensued. Hot tears streamed down my face. A nurse shoved some papers at me. I scribbled my name, consenting to an emergency C-section. They wheeled me out of the room, and we headed to the operating room. Mark chased behind. They told him he wasn’t allowed in. “I love you, too,” he said through tears, then quickly began shouting reminders to the anesthesiologists to ensure they remembered I’d had one seizure in my lifetime. “What’s wrong? !” I was screaming. “We don’t know!” someone yelled. I prayed I’d live, for Mark. And I prayed Matthew would be okay. And then I was out. I woke up to a room full of teary faces, completely disoriented. There were doctors and nurses, and I noticed Mark standing next to me. The pain in my abdomen was unbearable. “Did Matthew make it?” I choked out. “I’m so sorry,” I told Mark. “I’m sorry. I’m sorry. I’m sorry. I want to die too. Why am I here, and he’s not!?! ?” I screamed. During that day, family and friends showed up to offer their support and condolences. I’d apologize to anyone who’d been excited about Matthew – I felt I failed not only Matthew, but each one of them as well. We were later informed that Matthew died from distress resulting from a true knot in his umbilical cord. In addition to the true knot, he had two nuchal wraps. As a result, he basically ran out of cord and tightened the knot, at which point his flow of oxygen was cut off. The autopsy confirmed Matthew was healthy in every way. And Matthew was absolutely beautiful – the most beautiful baby we’d ever seen. He was a healthy 5lbs, 8ozs, and 18 inches long. He had a full head of auburn hair. He had my lips and nose, and Mark’s eyes and ears. He had ten little fingers, ten little toes, and Mark’s flat feet. He was perfect in every way – our little angel. We held him, spent time with him, and fell even more in love with him… At the same time, we had to say goodbye. I’d never experienced such intense cruelty in my life – one of the cruelest scenarios life had to possibly offer – falling madly in love, then having to say hello and goodbye on the same day – in the same exact moment. We were fortunate to receive excellent care in the hospital. The bereavement nurse created a baby book for us with Matthew’s handprints, footprints, a lock of his hair, and other mementos. The hospital also coordinated professional photos. Never in a million years, even when we were driving to the hospital the night before, did we ever imagine it would end this way, so we had no clothes for Matthew. The hospital provided clothes and blankets used in his photos. We’ll treasure each of these items and photos forever – our memories of Matthew. Matthew was born, died, and was baptized into heaven on July 13, 2015. On Wednesday, July 15, 2015, we held a memorial service in his memory. Family, friends, and the entire team of doctors and nurses involved in my prenatal care, the C-section, the resuscitation attempts, and our hospital stay attended the service. On Saturday, July 25, 2015, we laid him to rest in a beautiful cemetery, on a sunny, hot summer day. The events leading to Matthew’s death were rare – the doctors informed us they’d never before witnessed an umbilical cord accident death on a fetal heart rate monitor in real time. They believed Matthew’s death resulted from an acute tightening of the knot in the cord, and they were unsure as to why he could not be resuscitated. I blamed myself. If I would have demanded a C-section just 30 minutes earlier, would he have lived? And how could I have had five ultrasounds with maternal fetal medicine and been unaware of the existence of the true knot? Had it been my responsibility to ask if they’d checked cord pathology? We continued discussions with our doctors – they were as puzzled about Matthew’s death as we were. They assured me it wasn’t my fault – they wouldn’t have performed a C-section at 33 weeks even if I’d made the demand. And they told me cord pathology isn’t studied on ultrasound – it’s not part of the “standard of care” in the United States. But we wanted to know more about Matthew’s death, so we connected with Dr. Jason Collins, MD, a renowned doctor from Louisiana, who’s devoted the last 25 years of his career to studying umbilical cord accidents. Based on his review of Matthew’s fetal heart rate monitor strips, Dr. Collins believes sometime after I went to bed on Saturday, July 11, the knot tightened, sending Matthew into an intrauterine fetal coma, and not long after, he lost brain activity. Somehow, his little heart kept beating for another day, despite no brain function, which explains no fetal movement and no response to stimuli. Even if the resuscitation attempt had succeeded, tests likely would have shown no brain activity, and life support would have been discontinued. Dr. Collins’ research is interesting. He maintains cord pathology can be viewed on ultrasound and, if seen, additional monitoring (extra NSTs, BPPs, etc.) can be performed in hopes of identifying potential signs of distress, increasing the odds baby arrives safely. His research is something I’ll hope to utilize during potential subsequent pregnancies. Shortly after Matthew’s death, we became involved with Star Legacy Foundation, whose mission is to increase awareness, support research, promote education, and encourage advocacy and family support regarding stillbirth. Dr. Collins is a medical advisor to the Star Legacy Foundation – much of what Star Legacy Foundation does is support the research of those in the medical field trying to decrease the rate of occurrence of stillbirth, as well as empower women to advocate for what they feel is the best care, even if that level of care is above current United States standard of care. Working to bring awareness to this cause is just one of the many ways we hope to keep Matthew’s memory alive. We’d have given anything to parent you Earth-side, and we’re sorry we couldn’t keep you safe. < Previous Monica the Medium, can I have a reading?! I am crying my eyes out at this beautiful story about our precious Matthew…I love you and Mark and little Matthew so much. Love you too. Thanks for reading. I’ve already cried through this twice and, even though I knew most of the details, it still feels gut wrenching to see it all play out on my computer screen. Your love for Matthew and for each other is so evident both as I read about it here and as I spend time with you while you walk through all of this. And I just want to SCREAM “Lord WHY WOULD YOU ALLOW SUCH A THING!??! !” (and I may have done just that on occasion…) But even as I ask I know the answer is, He hates this too. And He loves you and Mark and Matthew more than our brains can even comprehend. And everything DOES NOT “happen for a reason” and He would NEVER “give this to you because you’re so strong” or any of the other horrible things that are said by (well meaning) people. Thank you so much for your comment! And for reading. Your words are beautiful, and I appreciate them so much. And now I’m crying again too. This post was hard for me to write, even though I also knew all the details of it, because it took me right back to those heart wrenching moments, almost I was living through them over and over, until I was done proofreading the story… So I’m almost going to have to re-do some of my healing over the next couple of days. And I still find myself in shock, asking again, “Lord, how and why did this happen?” You’re right, we’ll never understand… I like the passage you shared too – thank you! I am so thankful He plopped you down in my life too – xo. This brought me right back to that day. I go to bed often in tears praying and asking/telling God different thoughts. I am preparing for my next class thinking of you, Mark, and Matthew. God does hate death! He despises it. He looked at it in the face and squashed it when he sent Jesus, his son. Which is why when we talk about the will of God it was never God’s will for death. God’s will is done in many ways but not in death. When God breaks and hinders every evil counsel (taking Matthew from you on this side of heaven) and will which would not let us hallow(give God glory) the name of God nor let His kingdom come, such as the will of the devil(who wants us to doubt), the world(find things to “fill the void”, and our flesh(me everyday); but strengthens(through people, situations, His Word, love of you and Mark) and keeps us(you and me) steadfast in His Word and in faith unto our end(we don’t know this: not that I don’t respect doctors but in the end, this is out of our control). This is His gracious and good will of Our Savior. I love you so much my dear sister! Thanks so much for reading and commenting. Love you too. Thank you so much for reading and for commenting. Love you. Thanks for reading and commenting. Love you too! You are so brave and strong for writing and sharing your story. I haven’t entirely written my story yet because I can’t go back there just yet so you are an inspiration to me. Thank you so much! It was definitely not easy to write the story. It did bring me back to the intense emotion I felt in those days. Definitely not easy, but I think it is important to tell our stories. I think we each have stories to tell, and our stories will help others. I believe when the time is right for you to share your story, you will know. And there is no right time. It could be tomorrow or in a year, but you will find it. Hugs to you. This is such a beautiful tribute to Matthew! I read it with tears in my eyes. Im so thankful I got to see his memory book, and pictures. You are right, he was so perfect!! Thank you so much for the sweet comment, Mindy! Even though the circumstances under which we met are so tragic, I am so thankful to have connected with you. Hugs to you. I am so sorry for your loss. Your letter to Matthew is beautiful. I can understand your feelings of failure, guilt and wanting to trade places with him. I have felt all of those feelings and so much more in the past few months. Sending hugs to a fellow angel baby mama. Tears flowed quietly as I read (several times) Matthew’s story. This writing of your love, your pain, your search is compelling. It is and will be a source of strength for all who read. May God who loves you more than we ever could love, continue to give you courage. Psalm 6:8, “I have set the Lord before me continually; because He is at my right hand, I shall not be moved.” Not a day goes by without remembering Matthew, the love for you and Mark, and praying. I’m writing this with tears rolling down my face. God bless you and your beautiful Matthew. Colson (who actually has the middle name of Matthew!) also had a true knot, with it being wrapped twice around his neck. I, too, felt like I was a mystical pregnancy unicorn! No problems whatsoever— everything was so smooth. I’m sending a lot of love and hugs your way. I’m so very sorry for your loss. OMG – that is just so crazy. A knot with two nuchal wraps, for both our children – unbelievable and so terribly tragic. And I really didn’t think it was possible after such a perfectly uncomplicated pregnancy. Awww – Colson Matthew – beautiful. Do you have your full story documented on your blog? If so, I’d like to read it. Sending so much love and light right back to you. Hang in there. I do! I only have 5 entries but the first two (The Worst Day and The Worst Day part 2) are basically the story of what took place. Please feel free to visit! Thank you so much for sharing your story – and your light! – through this blog. I’ve been binge-reading your posts because I love your sincerity bolstered with your sense of humor and positivity! Awwww, thank you so much for reading and for this sweet comment!! I really appreciate it! I read this with tears filling my heart. I am so sorry for your loss… those words seem so incompetent in the face of such pain. As someone who has been witness to similar situations I cannot begin to tell you how much reading Matthew’s story has meant to me. God bless you and your family. Thank you for sharing Matthew’s story with the world. You are amazing. I was up at Mercy on Thursday July 16 for a work thing (I work there). I was still on leave, as it had only been 5 weeks 6 days since we lost Lily. We had to do this stupid health screening thing to get a lower rate on out insurance premiums for this coming year. So, I stupidly signed up for a time at the hospital, and it was in the “old Labor and Delivery area” aka the Women’s Health unit, aka the place you go to recovery when your baby is dead. So at first I didn’t even realize that it was the same floor I was on after I had Lily. That was until I walked out from getting my blood pressure checked (it was high, of course), and it hit me….a Heartprints sign on a patient’s door. My heart skipped a beat then raced uncontrollable. Tears streamed down my face. I needed to sit. I found a little lobby area, which I soon recognized as the one I used to walk to in the days after my c-section. I called Maggie, with no luck in getting ahold of her. And then something else hit me. What am I doing??? Right then and there I realized that whoever was behind that Heartprints sign needed Maggie much more in that moment than I did. So I wiped away my tears, got a coffee from the cafeteria, texted Nora, and drove straight to the cemetery. I don’t know if it were you and Mark behind those closed doors that day. There’s a good chance it was. I want you to know that I prayed for whoever was in that room that day, whether it was you or not. I thought about them nonstop the days after. And I still, today, think of whomever what behind that closed door with the dreaded double heart sign on it. I hate that there have to be those signs on hospital doors. I hate that our babies died. But I love how we talk about them and educate the world. I just know that Matthew is so proud of his mommy and daddy. Actually, I believe I DO recognize your name from support group (I think). 🙂 I’m pretty sure I have the correct name with face now – hopefully! Lol yes I’ve been at group. You would know me if you saw me. 🙂 I also saw you briefly at tat service at Rooftop. Yes, I can totally picture you now. It just took me a few seconds 🙂 Sometimes there are so many people there. Hi there!! Sending you hugs tonight!! Thank you so much for your very sweet comment. I am so sorry for your loss of your precious Lily. It is just absolutely heart wrenching. I am astonished this happens to so many people – in my town, in my neighborhood. I knew it happened, but was unaware of the frequency. I can’t believe you ended up on that floor and by the time you realized it, it was too late – you were seeing a Heartprints sign. That must have been so traumatic. I can only imagine how I would have felt in your position – only 5 weeks out from my loss. I would have had a FREAKING heart attack. I think I did venture back to Mercy a few weeks after losing Matthew to chase down medical records… It was awful. I freaked out – sobbed my eyes out for the rest of the day. Nora actually visited me in the hospital. Maggie called her to come meet with me, a new loss mom who was freaking out. She was such a light to me. I love Nora, and Maggie. Do you ever go to support group? Maybe we will meet sometime. Or if you’ve been to support group recently, we HAVE met, and I apologize for not being able to put everyone’s name with a face. I actually do not think it was us on July 16 (if you’re sure it was the 16th). We came home on the afternoon of July 15 (I was supposed to stay until the 17th, but quickly refused pain meds so I could leave as quickly as possible, and luckily there were no complications with the C-section, so I was able to do that). We returned the evening of the 15th for Matthew’s memorial service in the chapel, and didn’t return again. Thank you for praying for the family behind that door. I remember when I was in the hospital, Maggie told my mom it had been a “busy week” and that these things happen in waves. So sad. I believe, unfortunately, during our hospital stay, and the days following, there were other families dealing with the same thing. So sad. I remember the first time I met someone who’d lost their baby more recently than I. It was surreal – like I expected these tragedies to end with me (illogically), but unfortunately, at any given moment, there’s someone in our country, maybe even our city, experiencing a parent’s worst nightmare. Thank you so much again for reading, your kind comment, and for keeping Mark, Matthew, and me in your prayers, as well as that other family. I saw you started a blog – looking forward to reading about your Lily. Thank you for your comment. I am so very sorry about your loss of your precious Liv. I am sending so many thoughts and prayers your way. I still vividly remember the raw intensity of emotions I felt at the 3 week mark… Sometimes I still feel these emotions in almost equal intensity. At 4 months out, things are still difficult, but, somehow, we keep putting one foot in front of the other, though it all feels so wrong. I am sending you strength to get you through these darkest of days. I am so sorry our experiences are so similar. I am still baffled my doctors brushed off my concerns Matthew was in a coma (not that it would have saved him). It just seems very obvious to me – that if he wasn’t moving or responding to stimuli (like loud music on my belly), that he must have been compromised (even though he had a strong heartbeat). I do know that cords can fold over (kink? )… I have a friend whose daughter died at 36 weeks from a kink in the cord (but in her case, I think they could see the kink (wasn’t discovered via autopsy)). I am not sure about pressure applied. I believe it’s possible, but it might be a less common cause of death. I think in a small space, babies can lay on their cords, grab their cords, etc., but those are more normal situations that wouldn’t cut off oxygen for long enough to be an issue. I’m definitely not a medical professional, so if you are craving more answers, I’d recommend contacting Dr. Jason Collins (jcollinsmd77@gmail.com). He’s retired now, but has devoted most his career to researching cord accidents. He takes random phone calls all the time, is very nice, and will answer any questions. You can even tell him I sent you 🙂 He was the one who reviewed Matthew’s fetal heart strips and told us, based on the v-dips in heartbeat, he was probably in a coma. I have yet to find the words to tell my Dion’s story but I need you to know that once again you have expressed every emotion I felt. Thank you for sharing Matthew’s story. Thank you for showing me that my emotions are normal. The tears I’ve shed while reading this were welcomed in every way. God bless you and Mark. I remember you from support group, and I’ve thought about you and your precious Dion a lot over the past month. You continue to be in my thoughts and prayers through these very dark days. Your emotions are normal, and your tears are normal. Those first few weeks are SO very difficult. I’m still not sure how I’m still surviving, sometimes, honestly. I think you’ll know when the time is right to tell Dion’s story. I think it took me at least three months before I could write Matthew’s story, and it was so difficult. Definitely be gentle with yourself, and do whatever feels right. I am sending so much love and light your way and continued strength to put one foot in front of the other (sometimes I felt that was ALL I was doing, and that’s okay). Are you going to support group next week? “If there was any sort of delay, it’s because I was terrified to ask,” That was such a defining moment. I could feel the fear in your words. Almost as if you’d be willing to stay in a state of limbo and not know than to ask and learn the dreaded reality. I’m so sorry for your loss. It is just so unfair, life can be so unfair. What do you do now? There are a lot of opinions out there and I don’t know if any of them are correct. All I know is that in my own personal tragedy I started to journal my thoughts each day. When no one else would listen, my journal listened. That help me release my fears, anger, and grief. I think writing about it was the key to my learning to live with it. God bless you and Mark. Matthew is indeed a beautiful baby boy. Reading your story broke my heart and brought tears to my eyes. The picture you posted of Matthew is beautiful. I am a recent loss mom and my husband and I are trying to navigate through the flood of thoughts and feelings you experience after losing a baby. Thank you for sharing your story, know that it really does help others! I just found your blog and thank you for sharing Matthew’s story. I am so very sorry for your loss and he is such a beautiful little boy. You’re story put me all emotional… I’m so sorry for your loss he was so beautiful such a handsome baby angle. I lost my twin boys in June most heart breaking thing ever. Sending much love you’re way! I know it has been ages since we last chatted back in the old house in Springfield where our husbands lived. Thank you for sharing Matthew’s story, your and Mark’s heartbreak and the journey you have been on since. I had a miscarriage in January, and obviously completely different and mine much less traumatic, I have a small glimpse into the pain of losing a much wanted child. I will be praying that you are able to live in the land of both – both saddness/ grief in the loss of Matthew, and joy / gladness with Joel; both the excitement of milestones reached and heartache at milestones never achieved. Your grief is real. It is valid. And you should never feel like you have to justify it away just because you now have a living child. Matthew’s death is such a sad, sad tragedy and I am so sorry you had to experience and endure such a loss. And, I am not sure if the hospital you delivered at has a cuddle cot in its neonatal convalescence area but a friend of mine in KC has raised money to have these at a couple area hospitals. I know that it is a unique service that can be offered to families in the midst of loss – giving them the gift of time and the ability to hold their child. She blogs at the balentinememoirs.com and I think you can learn more about what they did to get the two cuddle cots. Anyway, wanted to pass that along in case you were interested at all. I was just thinking about you and Matthew and looking at his story again…that picture, what a handsome and perfect little boy! Sending you hugs. Thank you for writing about your beautiful Matthew. I know you have written on my blog about the death of our son, Jason, at age 19 years. We also lost a baby at 19 weeks in 1987. Our hospital experience was so very different. I’m so thankful you had such great support and such caring staff. Hugs to you. You write so beautifully. I am so sorry for your loss. It is tragically unfair that babies die and I’m so sorry your Matthew is not with you today as he should be.